Sweetly B Squared: Monster Jam - Detroit - January 11!! 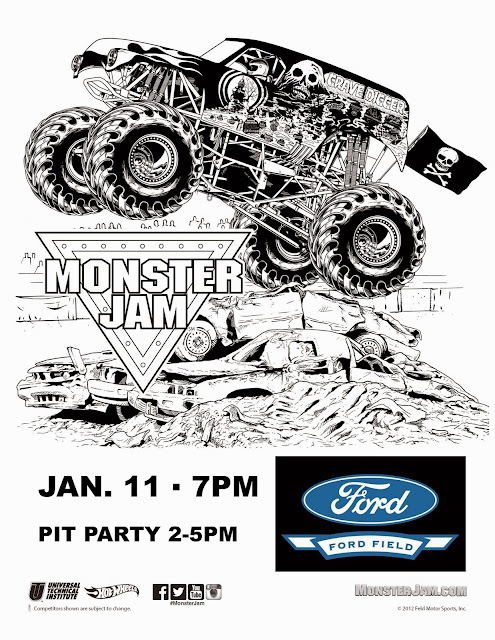 Monster Jam - Detroit - January 11!! Yay! Monster Jam is just around the corner! Will you be going to Monster Jam in Detroit this year? It's January 11, kicking off with the pit party from 2pm - 5pm. You can use promo code MOM5 at Ticketmaster.com to save $5 on tickets to select performances.